Continuing the Dubliners series for the funding campaign (which is just short of 60%! ), here’s my illustration for the eighth story, “A Little Cloud”. This could be the straightest illustration in the series. In the story, Little Chandler idolises his friend Gallaher. I struggled with the best way to make Gallaher appear suitably heroic before focussing on the classical profile. In some of my early sketches, I tried to give him a Napoleonic/Wellingtonian air by putting his right hand in his waistcoat. But without the accompanying medals and tights he just looked like he was looking for his wallet. 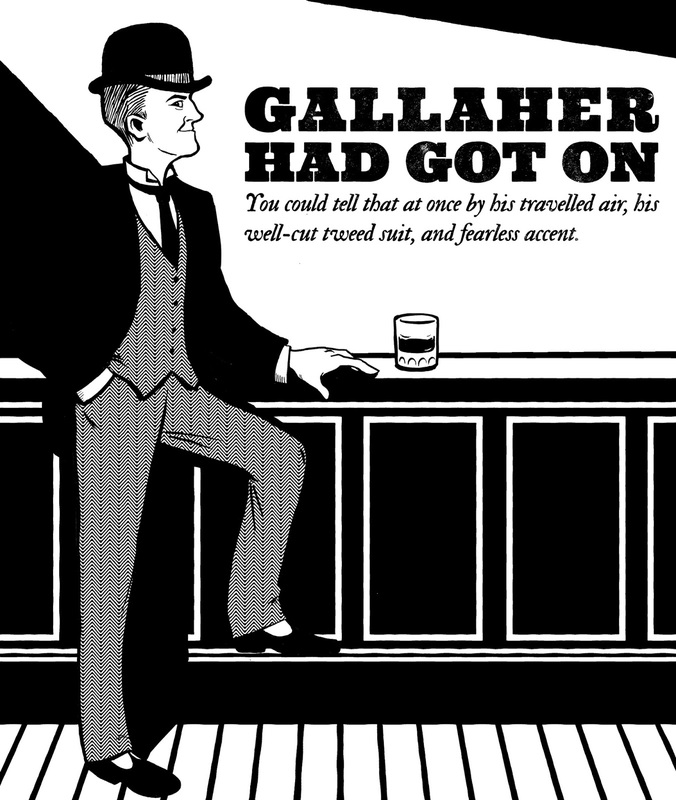 There’s still plenty of time to preorder a first-edition illustrated Dubliners right here.